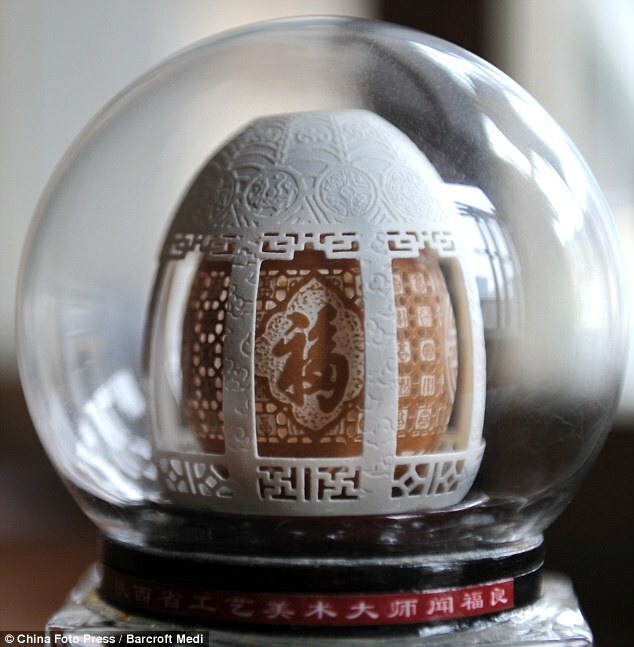 Give Chinese artist Wen Fuliang an egg and he will create an amazing piece of art. 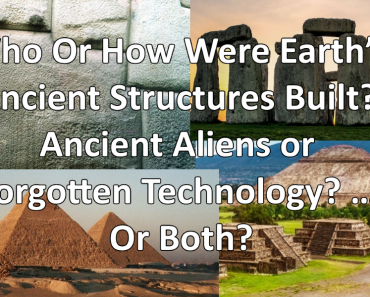 When the former wood carver lost his job he turned his focus from wood to eggshells and used his skills to create some astonishingly incredible works of art. 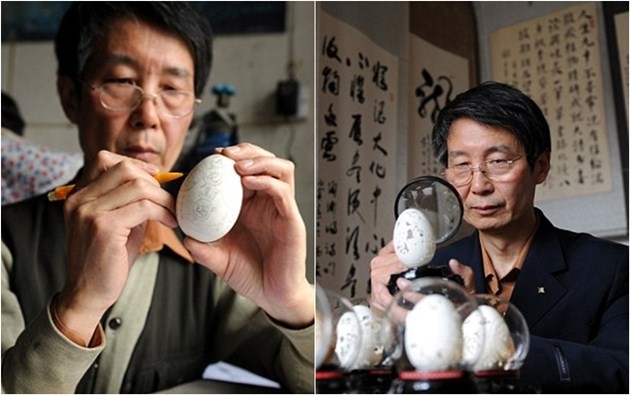 He started to transform goose, chicken and duck eggshells into works of art that he could easily sell. The eggs are emptied of their yolks by using a syringe. These works of art are seriously fragile and incredible in their beauty, see the images below to see for yourselves. 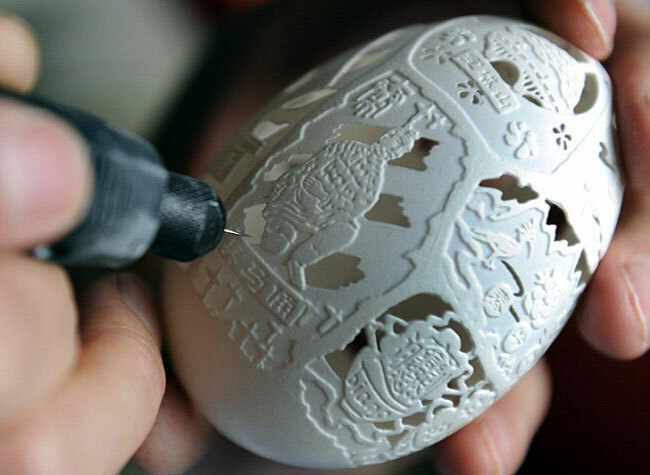 For over twelve years Wen Fuliang has been practising the very delicate art of eggshell carving. 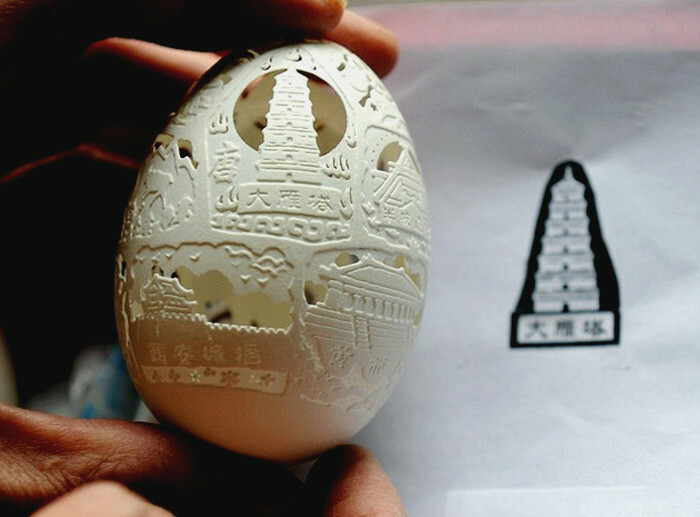 Wen Fuliang needs a steady hand to carve and he replicates places of interest, such as the iconic Dayan Pagoda in Xi’an. The fine carving is done by using an electric rotary tool with a diamond tip finished off by hand. 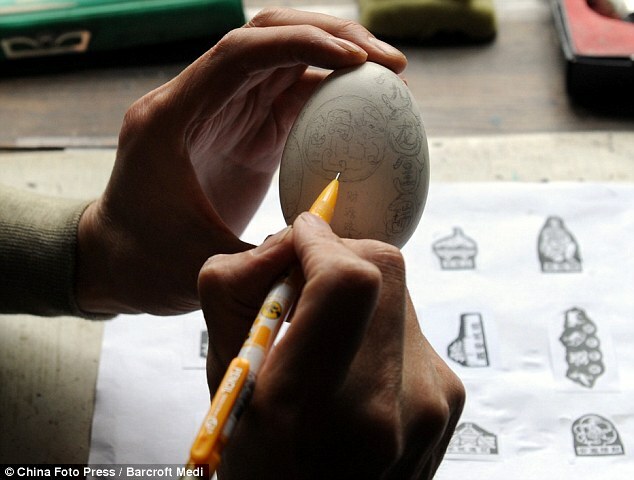 Each carving is so intricate that it first has to be drawn onto the egg with a fine pencil. 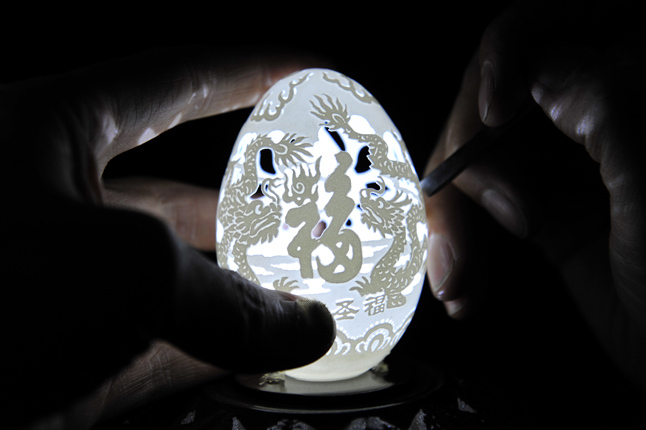 Wen holds the egg he is working on in one hand while carving with the other, he has hands like a surgeon as you can see. 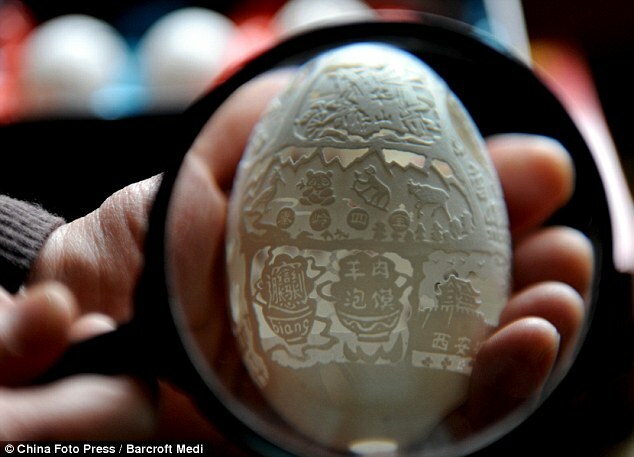 The detail is impressive and so intricate it is best viewed through a magnifying glass. 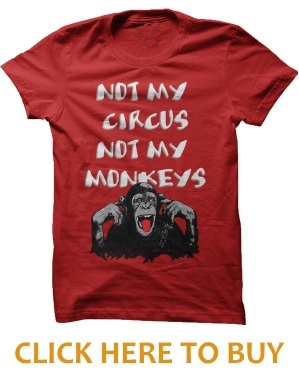 Below is a set depicting animals . 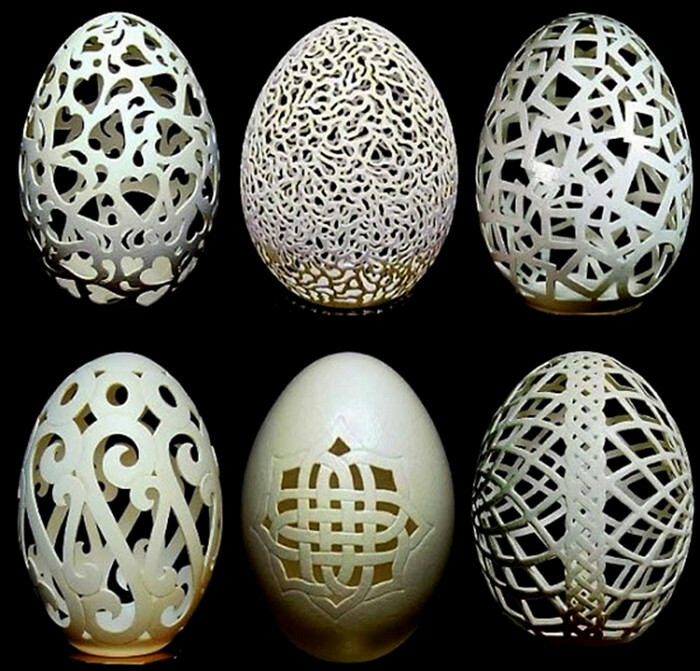 This incredible carving has a brown eggshell carving sitting within a white eggshell carving.